At the invitation of Korea’s National Assembly Speaker Moon Hee-sang, Vietnamese National Assembly Chairwoman Thi Kim Ngan will visit Korea from Dec. 4-7, accompanied by a high-level delegation of her fellow politicians. Her visit occurs as Hanoi and Seoul celebrate 10 years of “Vietnam-Korea Strategic Cooperative Partnership” (2009-2019). Since the establishment of diplomatic relations on Dec. 22, 1992, our relations have gone from strength to strength in every category. Seoul appreciates its relations with Vietnam and its important role in the Association of Southeast Asian Nations. Korean President Moon Jae-in visited Da Nang to attend the Asia-Pacific Economic Cooperation intergovernmental forum in November, following a state visit to Vietnam in March. On the parliamentary level, bilateral exchanges and cooperation on the international stage are vibrant through different channels, particularly their parliamentary friendship associations. Economically speaking, Korea is the top foreign investor in Vietnam with total investment capital reaching $62.12 billion in October. We also come second in official development assistance to Vietnam after Japan, and second in tourism and commerce volumes after China. Vietnam is Korea’s third-largest export market after China and the United States, and is forecast to surpass the US by 2020. Bilateral trade turnover has steadily increased to $61.5 billion last year -- 117 times the initial amount of $500 million in 1992. Our trade turnover reached $55.45 billion from January through October. At the current rate, our trade volume is expected to top $100 billion by 2020. Cooperative activities in culture and society are thriving. Some 191,000 Vietnamese are currently studying, working and living in Korea, and there are more than 150,000 Koreans living in Vietnam. Our expatriate communities form the bedrock of our relations. In addition, our relations have become more intimate with more than 70,000 Vietnamese women married to Korean men. In tourism, Vietnam is the most popular destination for Koreans in Southeast Asia. Some 2.5 million Koreans traveled to Vietnam last year, while some 300,000 Vietnamese traveled to Korea. “Our relations with ASEAN are indispensable for our prosperity and peace, and Vietnam is at the center of that relationship,” President Moon once remarked. Hanoi can play a central role in Seoul’s New Southern Policy aimed at strengthening ties with Southeast Asian nations. It is worth pointing out that the role and position of Vietnam in ASEAN has steadily gained prominence, as Hanoi pursues a policy of “multilateralization” aimed at diversifying its regional diplomatic ties. Many countries are supporting Vietnam’s bid to be a nonpermanent member of the United Nations Security Council for 2020-21. In particular, Vietnam’s successful path of reform and opening -- transitioning from a planned economy to a market economy -- can serve as a blueprint for North Korea, a country with which Vietnam maintains cordial relations. Vietnam’s population of 100 million people, 60 percent of whom are under the age of 35, provides a strategic base for manpower for foreign companies. This has been buttressed by the country’s steady and high growth rate of around 6 percent over the last several years, and an inflation rate below 5 percent. The foreign exchange rate has also remained stable without abnormal fluctuations. To elicit Korean investment, the Vietnamese government provides various incentives and business-friendly conditions, with a view to nurturing its infrastructure construction, high tech, auxiliary and energy industries, among others. Improving the state of the country’s infrastructure, equitization of state-owned enterprises, liberalization and simplification of bureaucracy are high on the agenda for Hanoi. The ASEAN Single Window initiative for certifying the origin of exported cargo across Indonesia, Malaysia, Thailand and Singapore has been applied as well. 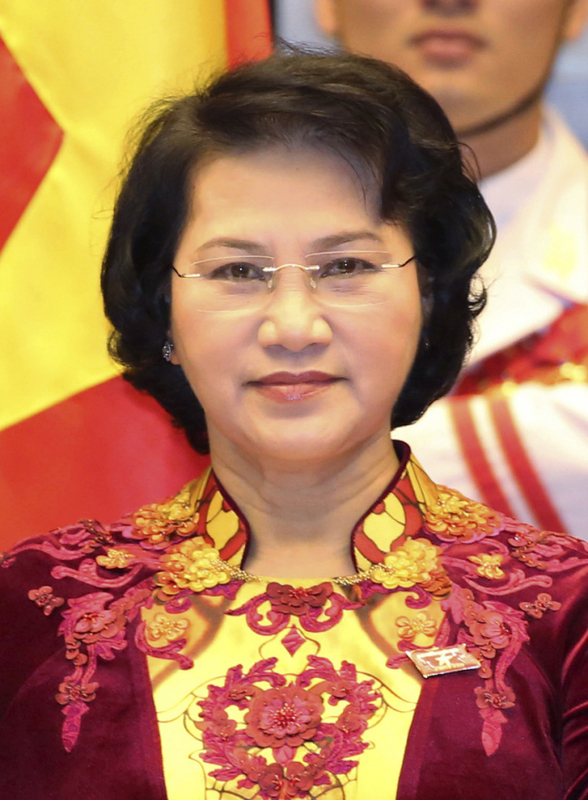 Under these favorable circumstances, there’s every reason to believe that Chairwoman Nguyen Thi Kim Ngan’s visit will further propel our thriving ties toward greater heights.